We have reviewed a few different Aquabeads sets in the past and I would say it is definitely the girls who they usually appeal to. 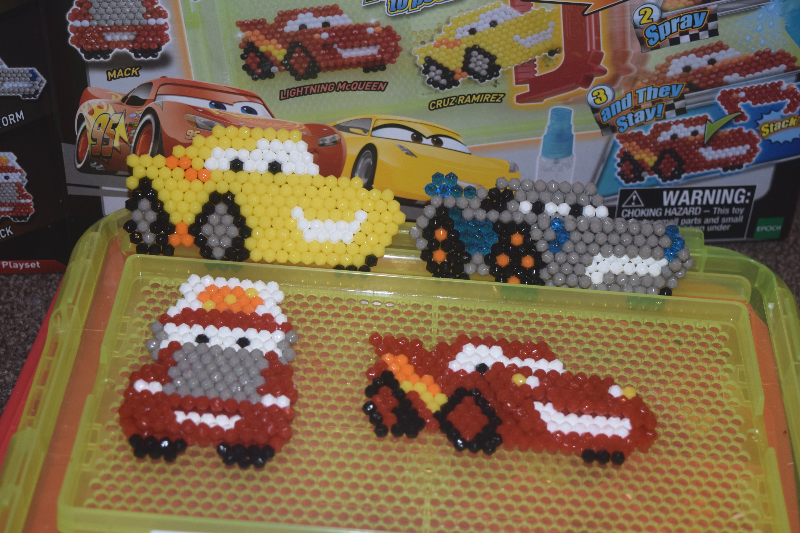 When I was offered the Aquabeads Cars 3 Playset I knew Zach would love it! He loves the Disney Cars films and the toys are at the top of his Christmas list. The Aquabeads Cars 3 playset contains 1 table tray, 1 bead palette, 2 double sided template sheets, 1 sprayer, 1 bead peeler and over 1000 beads in different colours. The stencils are of 4 popular characters from the Cars 3 film; Lightening McQueen, Cruz Ramirez, Mack and Jackson Storm. You have enough beads in the set to complete all four characters. This set was quite different to any we have reviewed previously as there are extra bits to make to stack, giving the characters more of a 3d effect which is really cool. 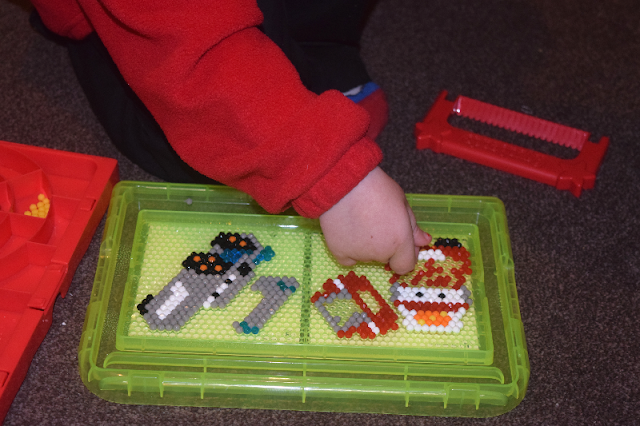 We had also not used a bead peeler before so were intrigued to see how well it would work. Surprisingly, the peeler worked really well. I usually peel them off so slowly and carefully so worried they would snap but they lifted really nicely so we will definitely use it with our other sets in future! 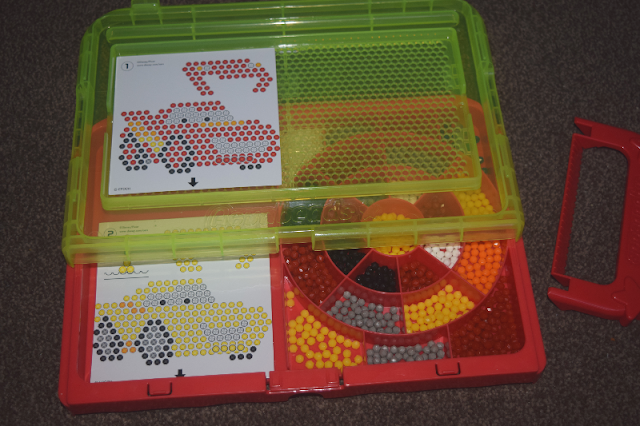 I love that with this set you get the bead palette and table tray which also acts as a lid so you don't have to do it all at once if you are short on times and any leftover beads are stored safely away. Zach loved the set. He thought it was really cool and couldn't wait to try it out. He did a really good job of putting the beads in the right place with a little bit of help at times. I think he did a really good job! As always I found we had to use a lot more water than the instructions say to make them more sturdy. We really enjoyed doing this activity together so we definitely want more sets aimed at boys in future please Aquabeads! (I have actually discovered they also sell Cars 3 character sets separately with a range of different Cars 3 characters and stencils included so will be adding them to Zach's wishlist!